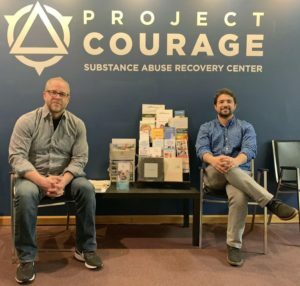 In an effort to maintain accountability, establish routine, and foster a deeper connection between coaches and their clients, Project Courage integrated TryCycle Data Systems into their Recovery Support Services (RSS) program, offering the unique ability to keep open communication about a client’s sentiments, trends, attitude and more. “TryCycle incorporates old-school, accountability methods in a modern, accessible, and easy-to-use software. It builds an invisible bridge between client and coach," says Rob Deffendall, Director of Recovery Support Services. 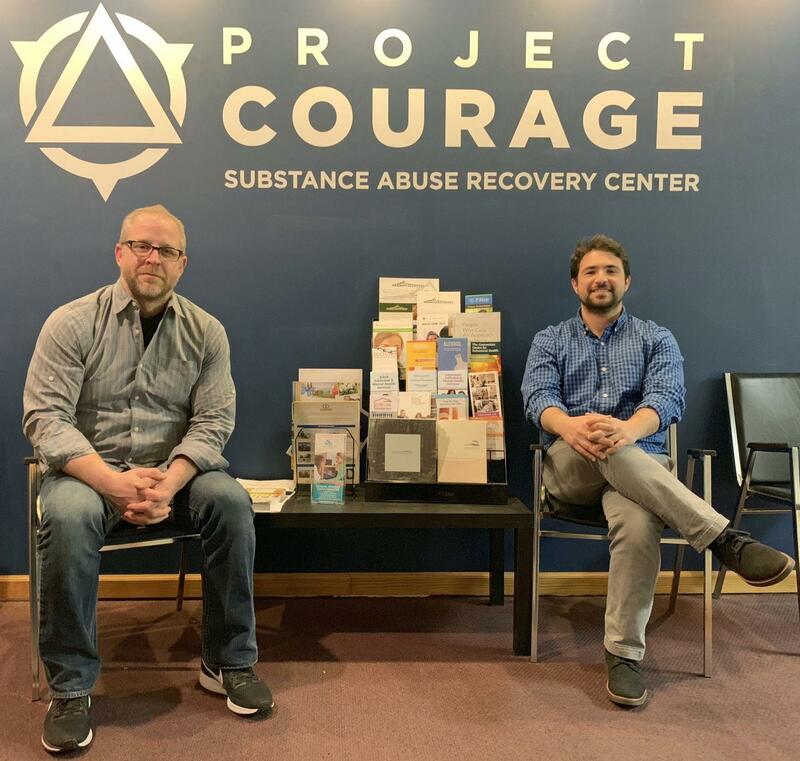 Project Courage integrates TryCycle technology into their Recovery Support Services (RSS) program, to maintain accountability with clients, establish a routine, and increase engagement. "It’s based on providing the service based on need rather this kind of scheduling system that doesn’t necessarily always work, especially with substance abuse disorders". Adam Nihmey, CFO of TryCycle Data Systems, started with a wake-up call about the opioid crisis: “People are dying.” The Ottawa firm’s solution tracks patients with substance abuse issues by giving them an app for regular journaling. On the clinician side, the rate of engagement and the content of the answers can inform the likelihood of relapse and give care providers the chance to step in to prevent further substance abuse. Working to strengthen the relationship between people with addiction and their clinicians, TryCycle is on a mission. The Canadian startup company wants to prove that, armed with more data, therapists, prescribers, and recovery coaches can help people with addiction stay in recovery longer, save lives, and lower healthcare costs for treatment providers, insurance companies, and families. Dr. Craig Allen of Hartford Health Care and John MacBeth, TryCycle's Founder and CEO appeared on the local Fox 61 affiliate this morning to discuss the inroads that are being made in opioid addiction treatment using the TryCycle platform and predictive analytics. What happens after a patient with an opioid addiction leaves the treatment clinic? Read our article here to learn more about TryCycle’s versatility, and how technology is helping health professionals care for more people. Read more about this innovative project funded by the Bill & Melinda Gates Foundation. Today's Globe & Mail contains a story detailing IBM's efforts to attack the opioid crisis with Artificial Intelligence and Machine Learning. Included in the story is a discussion about the partnership between TryCycle and IBM in this important effort. He adds that “it makes absolutely no sense that a person who is in a crisis situation now has to wait two or three weeks to get an appointment with a practitioner. With something like TryCycle, response times can change and this reduces the strain on already stressed emergency and health resources; more importantly, it can help save lives. Local start-ups have become part of the effort to fight the opioid crisis with practical, usable ways to help addicts and the people who support them. From encouraging and maintaining sobriety to creating less addictive painkillers and helping cities measure community addiction, TryCycle is ranked within the top 10. Click here to read the full story or download a pdf. 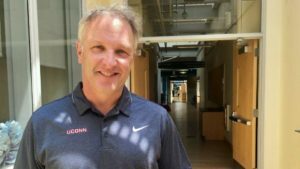 "To Fight Opioid Epidemic, Farmington Startup Creates 'Digital Tether' Between Patient And Doctor"
The Hartford Courant caught up with TryCycle Data Systems founders, John MacBeth and Ken House, and featured the advances that the platform is bringing to opioid treatment in Connecticut. The crisis is only gaining speed in Connecticut. 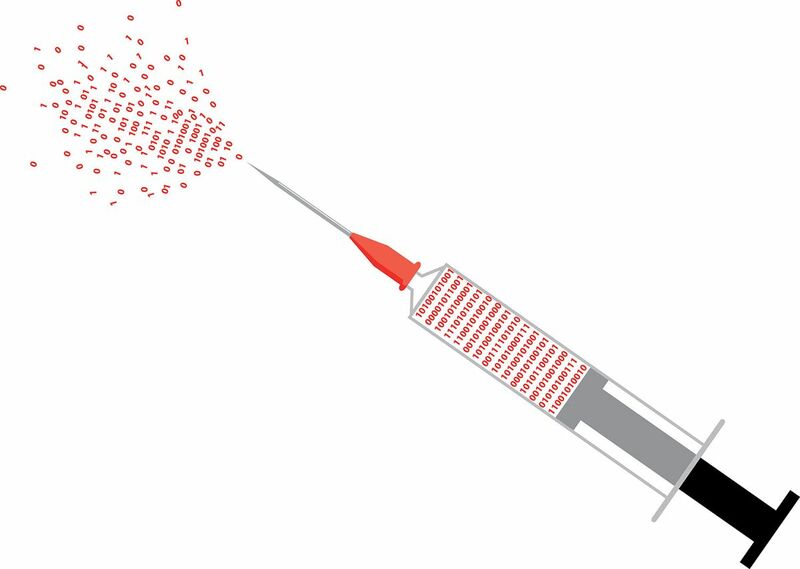 In the last five years, the state has reported 4,083 accidental drug-related deaths, including more than 1,000 deaths in 2017 alone, according to data from the Office of the Chief Medical Examiner. But new tools like TryCycle are helping to stem the tide of relapse and repeat overdose. It's an innovation in care delivery. TryCycle is featured on IBM’s home page! Find out how we’re using Watson AI to fight opioid addiction and treat people in recovery. IBM has recognized the important work that TryCycle Data Systems is doing to support opioid recovery, and has featured CEO and Founder, John MacBeth, on their Client Success Field Notes website. The TryCycle platform utilizes multiple services from the IBM Watson catalogue, including sentiment analysis, tone analyzer, and Watson Studio to better interpret the data that our clients generate. 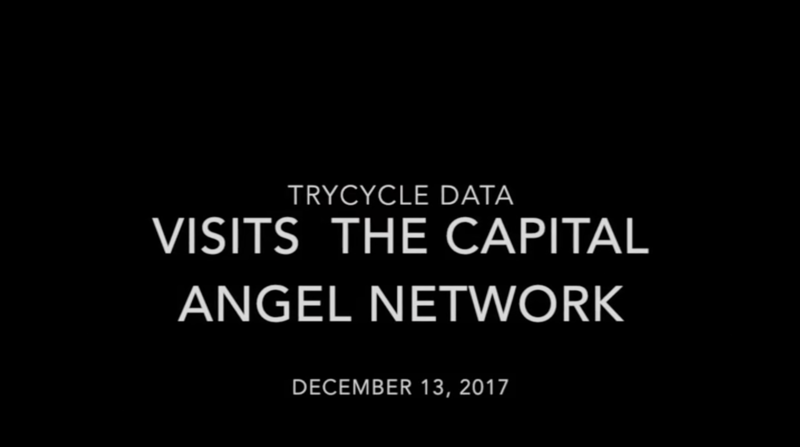 Learn more about the story behind TryCycle Data Systems, how we engage with the IBM platform, and where we want to go next with our unique technology. 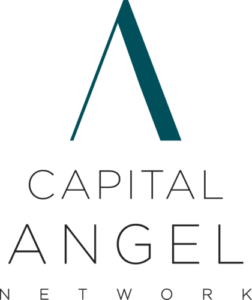 John MacBeth,TryCycle Data Founder and CEO, was featured at the final Capital Angel Network “Mashup & Social” event for 2017 at the Canadian Museum of History. Below is the five-minute interview with John on the future of TryCycle - compliments of Techopia Live. 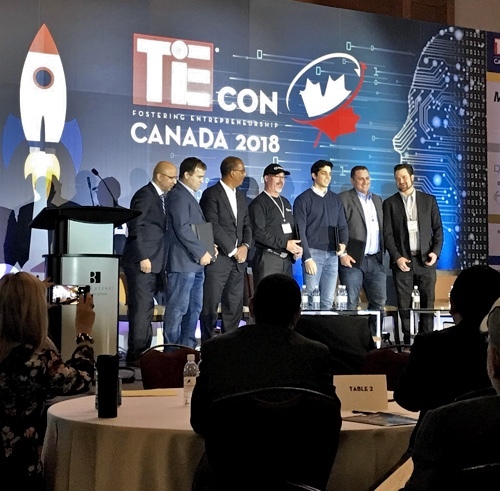 Jonathan Rezek is a member of the National Innovation Team at IBM Canada and a great friend to everyone at TryCycle Data. Please watch this remarkably personal video about Jonathan and his vision to harness the power of IBM Watson in the field of Parkinson’s medical research. 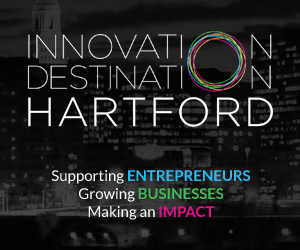 TryCycle Data Founder and CEO, John MacBeth, was featured in an interview on AM 1310 News today. The broad ranging conversation focused on the growing opioid crisis and the approach that TryCycle Data is taking to help medical professionals tackle the behavioral issues. Listen to the full 10 minute interview in the player below. TryCycle Data On The Ottawa Business Journal Cover! 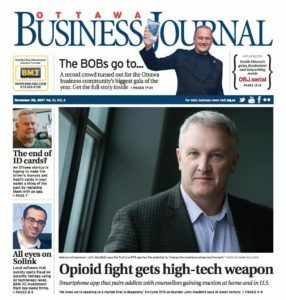 TryCycle Data continues to grow and gain recognition in the community, and today we are proud to announce that TryCycle Data is the featured cover story for this week's edition of the Ottawa Business Journal! The story is titled, 'Early warning system' gives opioid addicts new weapon in fight to stay clean, and features an interview with CEO, John MacBeth. John MacBeth, CEO & President of TryCycle Data and Mike Villeneuve, CEO of the Canadian Nurses Association (CNA) delivered a joint announcement today about their new partnership agreement. 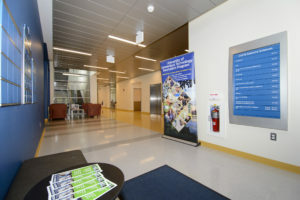 Said Villeneuve,“Health-system funders and decision-makers constantly face challenges when deciding which technologies will better serve patients and health-care providers. 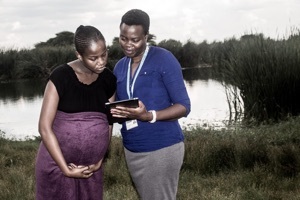 In partnering with TryCycle, CNA will bring nurses — health professionals with critical insights into what works best for delivering care — to the table to inform discussions and help guide and test e-tools to improve access, effectiveness, timeliness and appropriateness of care. This affiliation creates a mechanism to develop and validate innovative tools and resources that are badly needed now." Learn more about this exciting partnership.